Originally from Philadelphia, Pennsylvania, Janet currently lives in Ormond Beach, Florida with watercolorist, Steve Rogers. Janet has won numerous awards from exhibiting her watercolors, including Disney’s Festival of the Masters, “Under the Oaks”, and the Florida Watercolor Society, of which she is a Signature Member, and also a Member with Excellence of the South Carolina Watercolor Society. Janet is well known for her sensitive portraits of women and children, as well as her expressive floral paintings. She has gained much popularity as an instructor for many watercolor workshops in the United States and Europe. 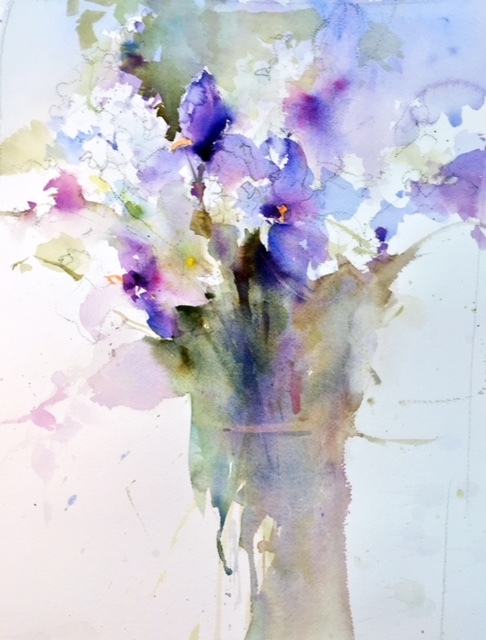 Watercolor demonstrations are part of her busy schedule, including Epcot International Flower and Garden Festival, Florida Watercolor Society, and of course workshops throughout the United States. Janet’s work is in Galleries in Maine, and Florida, and can also be found in the book “The One-Hour Watercolorist” by Patrick Seslar, and published by North Light, as well as her three new DVDs. Visit Janets's website to learn more:JanetRogers.com. No refunds after September 7, 2018.